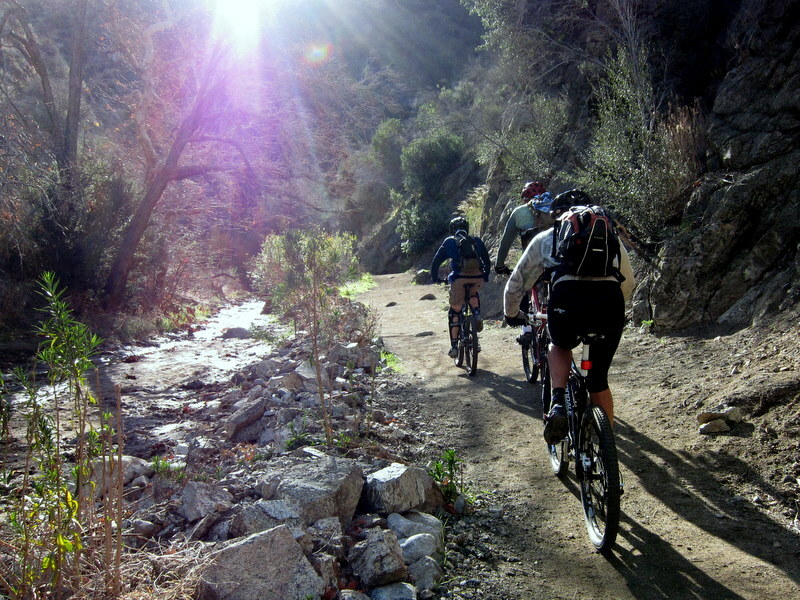 The recent Canyon Trail issue (and see story below) in Placerita Canyon in the Santa Clarita Valley points out that mountain bikers must continually be watchful for those who would try to restrict the public’s access to public parks. 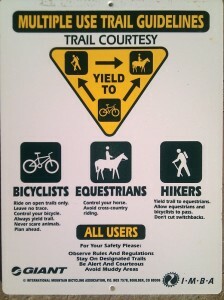 While the actual reasons and influences that closed this trail (and the trails at Vasquez Rocks, also managed by Los Angeles County Parks) may not be fully known, it is clear that mountain bikers must still behave with courtesy and respect for other trail users. 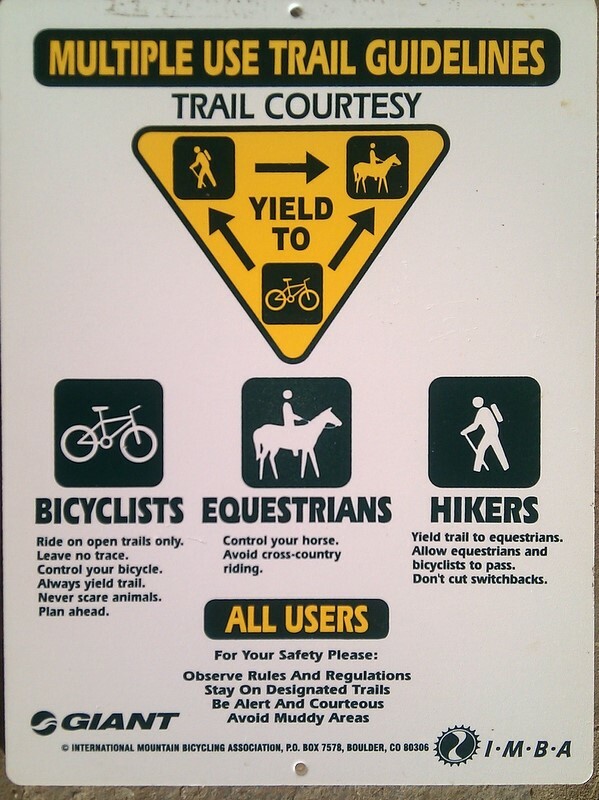 I’m not saying that mountain bikers in the Santa Clarita Valley are willfully being disrespectful, but the vast majority of mountain bikers simply aren’t aware that even at slow speeds they are still intimidating to pedestrians and equestrians. 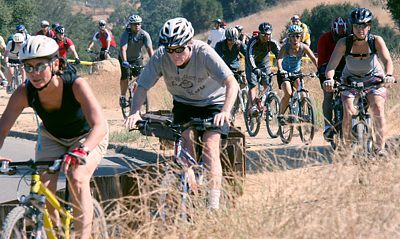 While 10 miles per hour is barely crawling on a mountain bike, it’s still 2-3 times faster than a walking pace, and riding up from behind someone even at 10 miles per hour can be startling. As I’ve said many times in this space, by simply slowing down you basically eliminate the reason most people don’t like mountain bikes on the trails—speed. Try it next time you’re riding by a hiker—slow down to the speed of the person you’re passing, and then tell me it ruined your ride. Bet it didn’t. And I also bet it left a positive impression on the hiker. 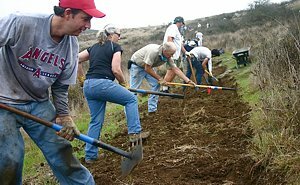 Trailwork days are being planned for September in the Verdugo Mountains (Glendale), and for October/November in the Angeles National Forest, but the dates have not yet been confirmed. We'll be posting the dates on our calendar as soon as they are confirmed, which we expect by early September. Next CORBA Kids Club ride will be Saturday September 3. See our Rides Calendar for details. 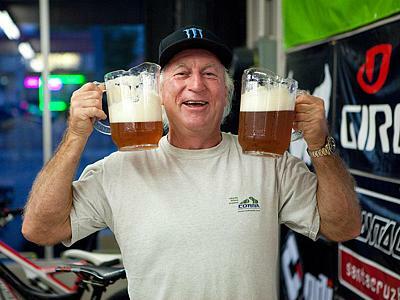 Next Beginners ride will be Saturday September 10. 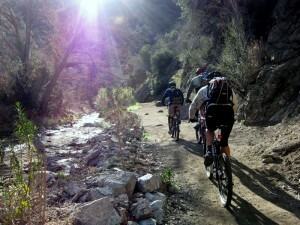 See our Rides Calendar for details. Saturday September 3rd is the next skills clinic.